LOLA FERN (STILL) FLEXHAUG passed away near Raymond, AB on Wednesday, May 16th 2018 at the age of 83 years. Lola leaves to mourn her loving children Chris (Cathy) FLEXHAUG, Kim (Sandi) FLEXHAUG. 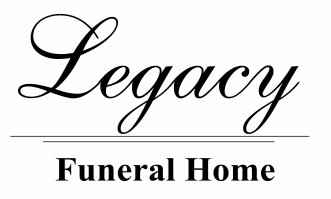 She also leaves behind her cherished grandchildren Jamie (Jordan), Jarrod, Jordan, Kelly (Tanya), Tara (Paul), Kaylea (Jay), Justin (Brook), Mitch (Celine), Amber (Ryan), Christie (Chris), Adam (Jamie), Kyle, Chad (Norma), Rischel (Winton), Joel (Vilayvanh), Cherity (Beau), Misty (Darren) and Ashley (Morgan) and 38 Great Grandchildren. Lola was predeceased by her parents Jim and Alice STILL; brothers Jim, Elmo, LaVern and Dale; daughters Jennifer, Roxann and Joyce and the love of her life Alvin FLEXHAUG. Lola was born on July 18th, 1934 at Raymond, Alberta to James Madill and Alice Martha STILL. She met Alvin in May of 1950 when her best friend Evelyn FLEXHAUG invited Alvin to come to Raymond. Alvin and Lola were engaged on June 4th, 1951 and married on July 20th that same year. Alvin was working for Canadian Pacific Railway and they moved to a number of small towns in southern Alberta while Alvin worked for the C.P.R. Alvin and Lola moved from Etzikom to Pendant D’Orrielle late in 1957 where they lived with their 5 children who all graduated from Foremost High School. After Lola’s children graduated, Lola worked as a Teacher Assistant at the Roseday and Sunnyside Hutterite Colonies where she developed some life long friendships with all of those that she touched at the colonies. Alvin and Lola lived at Pendant D’Orrielle until Alvin retired in 1993. Alvin and Lola lived a short period of time at a farmstead south of Foremost until 1995 when they moved to Raymond. Alvin passed away in 2006 and Lola continued to live in Raymond with her granddaughter until her brother David STILL moved in with her in 2010 where they both lived until their passing. Interment to follow in the Temple Hill Cemetery, Raymond, AB. In lieu of flowers please consider donating to the Canadian National Institute for the Blind. Condolences may be sent by CLICKING HERE.